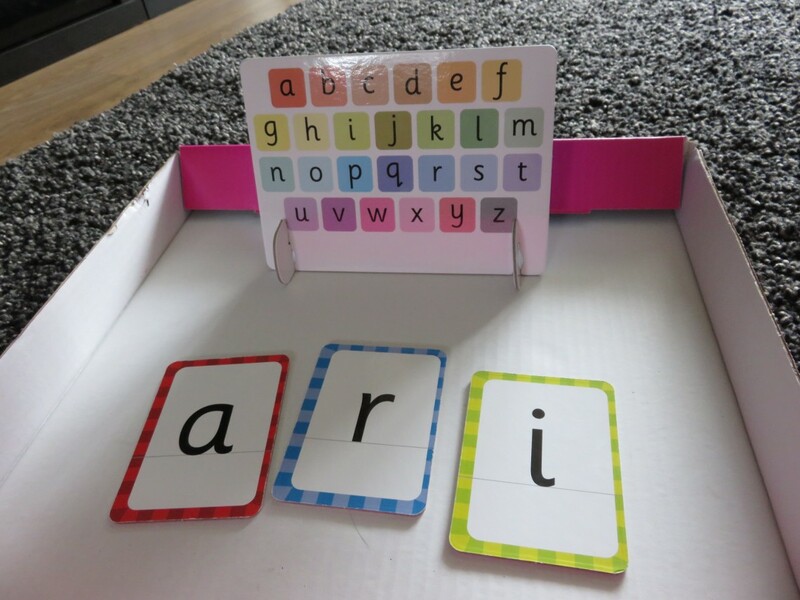 We are big fans of Orchard Toys and when I came across these Orchard Toys Alphabet Flashcards, I knew they’d be perfect for Aria. She is 4 now and has a thirst for learning. She loves doing numbers and writing her name. This was the next step, learning to recognise letters, spell and read. She is starting school in August if you can believe it, so this makes a good stepping stone over the summer. 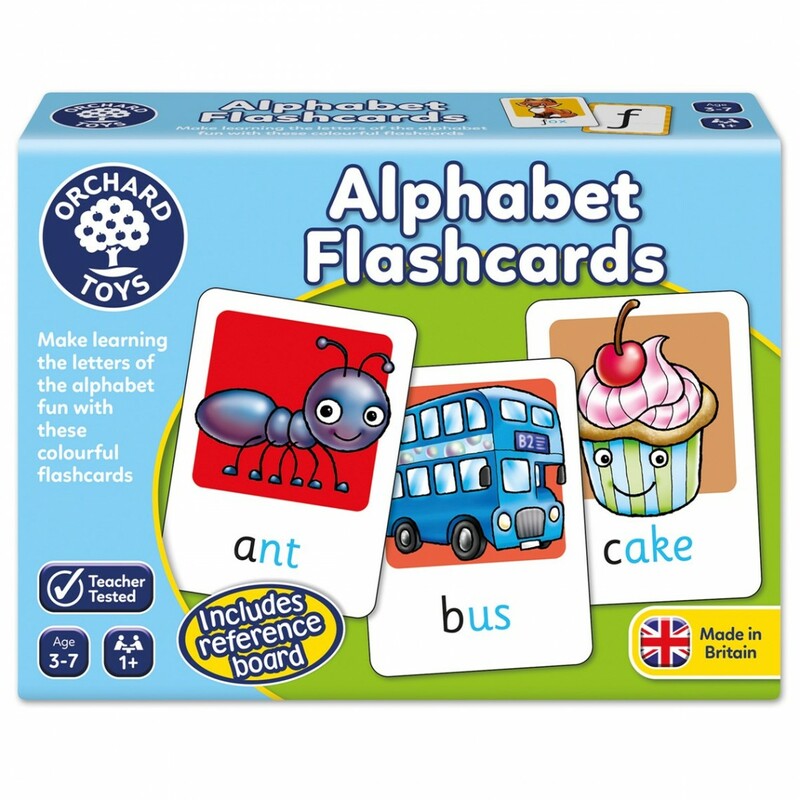 The Alphabet Flashcards comes in a handy and sturdy little box, there are 26 double sided cards each with the letter on one side and a colourful pictures on the other side that starts with the letter. There is a handy reference card that stands up and allows the child to see all the letters in the one place. Plus a handy instruction sheet. Aria is very good at recognising the letters of her name and spelling it out, she can also write it quite well too. Thankfully she has a short name, so I think that makes it a little easier. She is better with her letter than the boys were, they were very much maths and number focussed. What I love about these cards is that they can be used again and again. She can spell these out and also look and see what also starts with these letters from the images on the back of the cards. The words on the cards vary in their complexity from simple words like dog to umbrella. Allowing them to grow with them for many years to come. They can be used for kids aged from 3-7 and can be played with on their own or with an adult to help guide them. 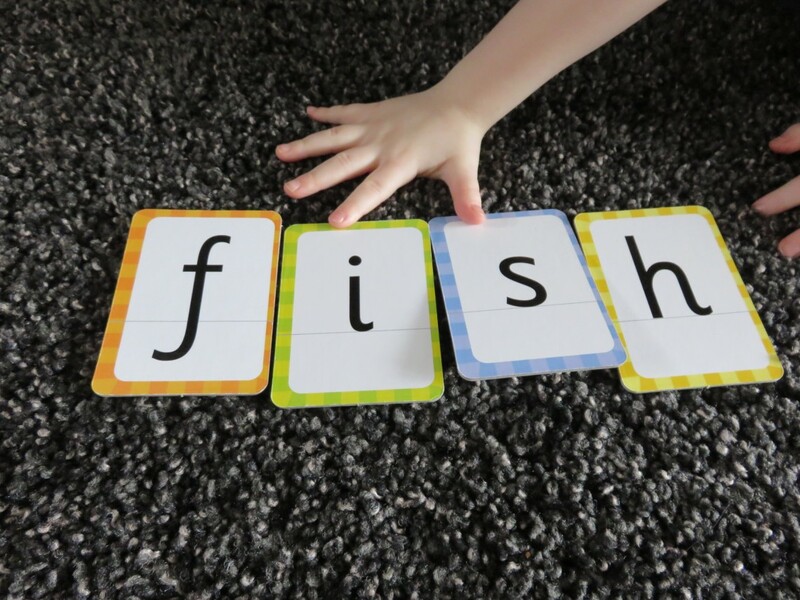 I love that even once they start to know words better and read, they will still be able to do use these cards. Build on their words, make new words. A game that is fun, grows and learns. 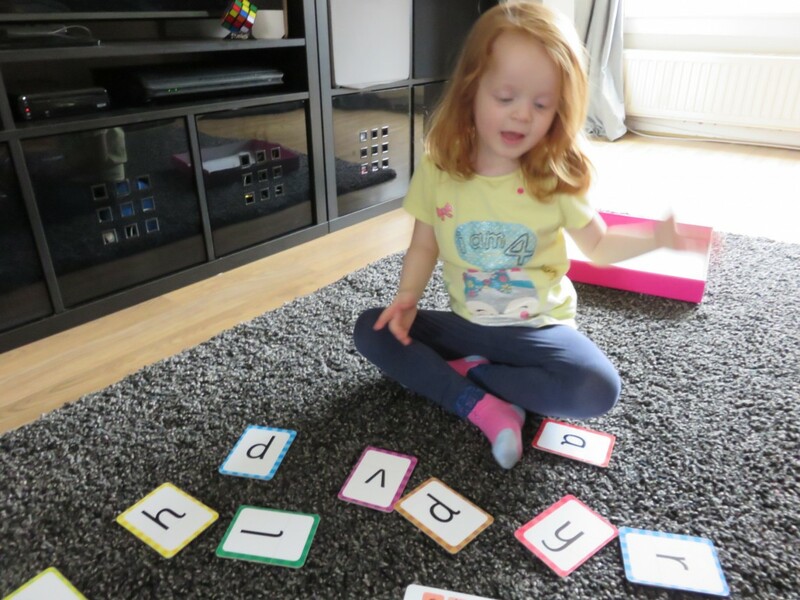 We are really enjoying our experience with the Orchard Toys Alphabet Flashcards. Aria has been spotting the letters and sounding them out. You can then spot them on the reference card. Or using them with the pictures and Aria sounding the word out to figure out which letter is on the other side. They have made a difference in her letter work. 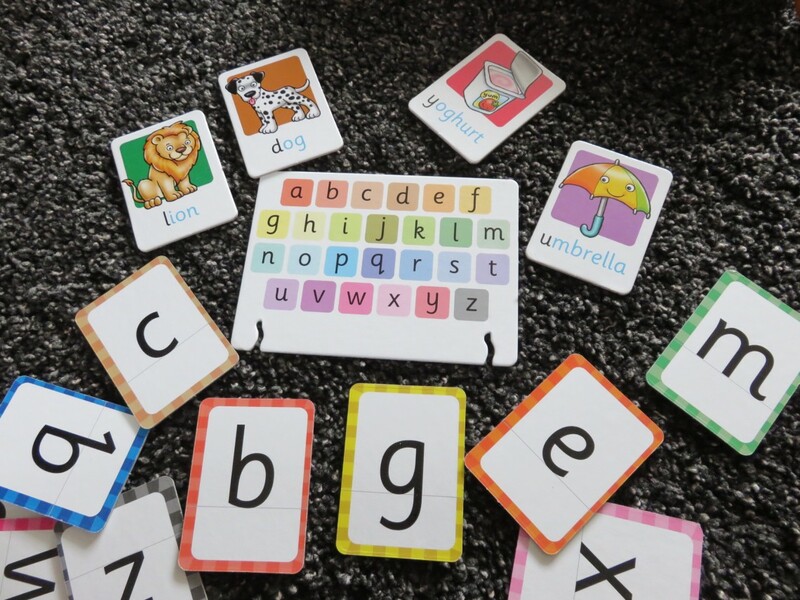 The cards can be used for the child to trace the letters and start to write them out. There are so many possibilities with these cards. The cards are made of high quality thick card, they will last and the illustrations are bright and fun. We have lots of fun discussing and saying who they are. With the box, they can be taken when you are out and about, Aria has taken hers to her Grandparents and even to the park. I cannot recommend Orchard Toys enough for you children and this is no exception. Perfect for those with a thirst for learning or if you want to get them started recognising their letters. Even if they have just started school, these will grow with your child. At £7.50 they are a great price too. And would make a nice gift. Disclaimer – We were sent the Orchard Toys Alphabet Flashcards free of charge in return for our honest review. We are big Orchard Toys fans and all thoughts and opinions are our own. I know I say it all the time but I can’t believe how big she is getting?! This is such a great idea though I know that mine would have loved it at this age. 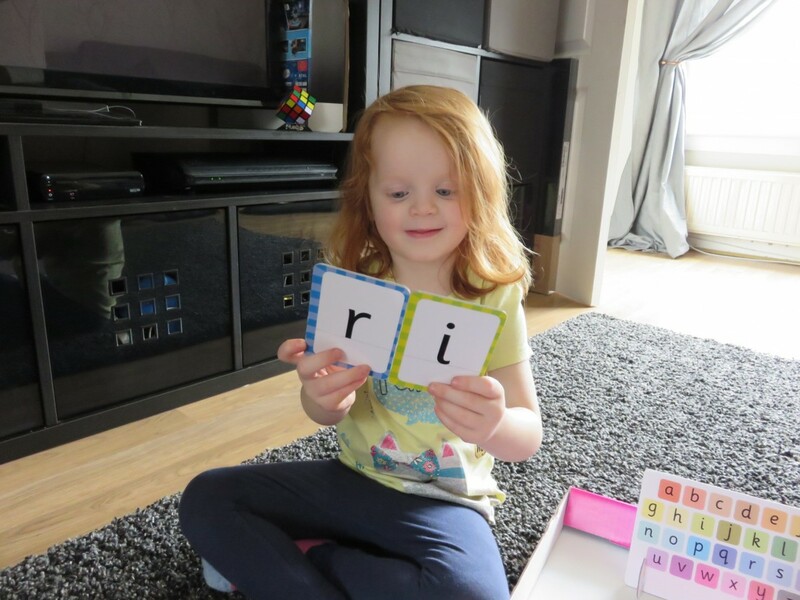 It’s fab that she’s already showing a real interest in her letters she is such a clever little girl!